Looking back at the individual series that Lego has done that now make up the Lego Super Heroes Collection (Batman, Spiderman, etc.) we see some of the most successful Lego sets of all time. Though not too many of the current ones have retired, the ones that did have not disappointed in the least so far. Captain America's Avenging Cycle has been one of the shortest investments to doubling or tripling your money that many of us have ever seen. The Hulk Helicarrier - really a weak set besides the hulk, almost doubled during Christmas after retiring just shortly before. The Cat-Cycle Chase has done great as well - although it somehow came back into stock (which was a blessing for me as I bought about 25 and now its gone again). How often do we get a 20$ set, with 3 exclusive minifigures, that are highly likely to stay exclusive? Not very often. That really vaults the investment value of this set way up, almost regardless of what licensed theme it was in and it should really be a no-brainer for any Lego investor. All three minifigures are pretty well done, and the Bat Boat is excellent, and really matches the rest of the Batman vehicles in the theme (the Batwing and BatMobile). The Arctic Batman is really the best out of all of them as well as it completely contrasts every other Batman Minifigure. I have to think Batman fans will be all over this. So what is not to like? Well, for one Aquaman. Yes he is exclusive, but does anyone really like Aquaman that much? I think he is well done, but I almost wonder if this set would be just as popular without him. In a way he almost doesn't really fit in the set a ton anyway. But, again, I don't think we can argue with another exclusive figure. I also question how much non-mega--Batman fans will really care about an Arctic Batman. I don't think the last Mr. Freeze movie did all that great and I am not sure many younger people will really be wowed by this set with no real tie in they know about. Never-the-less, at 20$ this shouldn't be much of a risk either way. A super 20$ set, as Lego has seemed to given us a lot of in the Super Heroes theme. At the moment, two of the three figures are exclusive - although they could be back in another set later on - and the set itself is built really well. 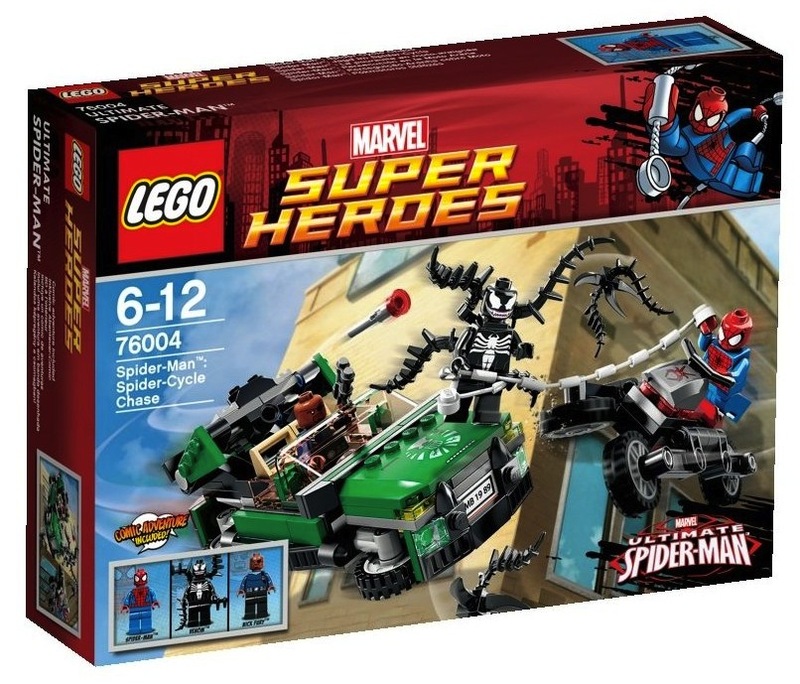 Venom really makes this set as the most desired figure, but the spider cycle and Fury's Car are nice little vehicles, and we all know how well vehicles go. 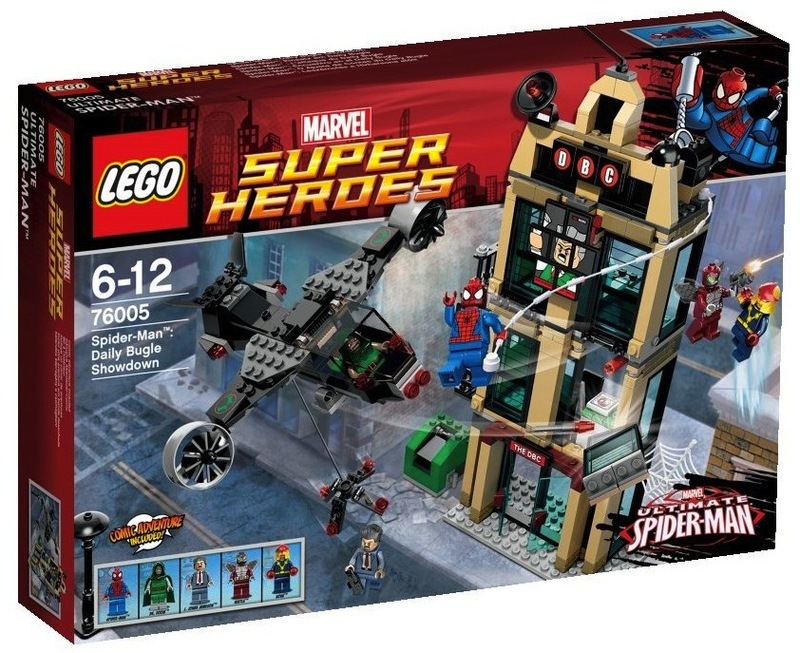 This set is not going to be the best one of the Spiderman Theme I think, and probably not the best of the Super Heroes 20$ sets. So why do you want a lot of them? Well, the biggest reason for me is Venom. The set itself will be a winner, and a solid one either way. But, if Venom is not reproduced in another set, this could become one of those legendary sets that just grows at an insane rate based on one great figure. Everyone will want Venom that loves Spiderman, and with more movies most likely on the horizon, this will definitely boost the set. So its worth the risk to grab 20-30 of this set if I can and make sure I have a ton just in case Venom never shows himself again. I would suggest you do the same - especially if you can find this set for 15$ or so. This set will also have major flip potential during the Christmas season as well, so win-win there. This set is the gem of the Spiderman Sets, a set that I think is even better than the Dr. Ock set. If you like Exclusive Super Heroes figures, this is the set for you. Yes, you have the same old Spiderman, but then you get 4 exclusives: Nova, Dr. Doom, Beatle, and J. Jonah Jameson. I love all 4 of the figures too. All of them are extremely well done, and the color contrast in all of them really makes the set stand out. Chances are, most if not all of these figures will stay exclusives to this set so I see it as a pretty safe bet. The building itself is also done really well and the set sells really well without minifigures for me which I feel is always a testament to how well a set is done non-minifigure wise. All of the minifigures are worth at least 10$ each on Ebay; if you can make back the retail price for a set just off the figures, you know that set is a big time winner. Really the only tough thing about the set is it has not been on sale a ton and has been out of stock a lot as well. This means it has been a little hard for me to pick up at decent prices, but this also is a testament to its popularity. This set will be a huge gainer and you will kick yourself if it retires without you picking up some of them. This set is a hard one to figure out. It is a so-so set in some aspects, and just excellent in others. I don't love the boat, but it is built really well. The Aldrich Killian minifigure is, in my opinion, dull and the Ebay Sold listings prove that. However, the Iron Man Mark 46 figure and the War Machine figure (another exclusive) are tremendous. So in some ways, it is hard to really peg exactly what this set will do. 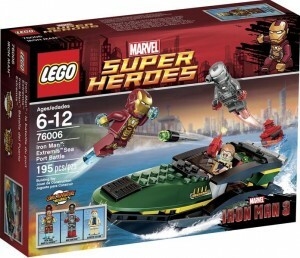 However, I love this set for the same reason as the Cycle Chase: The exclusive minifigures - and really just War Machine. This minifigure is awesome and could easily be the only one. With as well as the Iron Patriot minfigure has done, I think this one will follow right in its footsteps. I have parted a few of these out and have had no issue getting $12 (from a 20$ set!!!) for that one figure. This figure will carry this set big time, and as dull as the Killian figure is, people will want him to complete the movie scene in their minds. 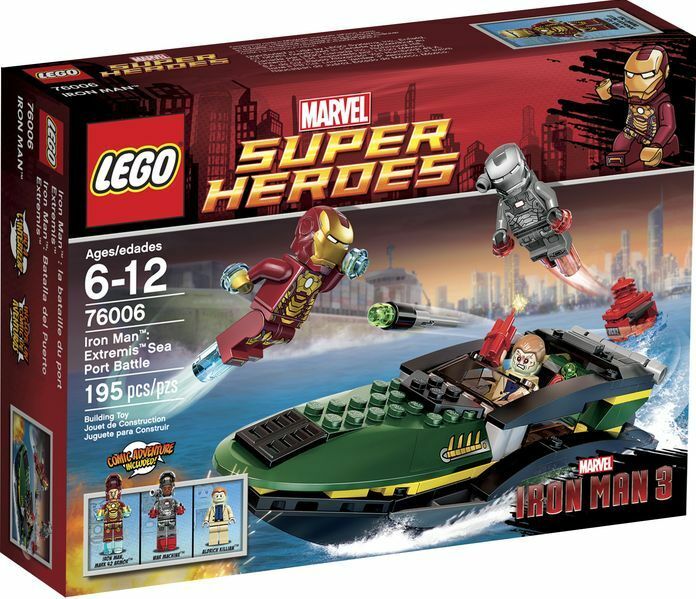 This set will double extremely quickly right after its gone in my mind, and will end up being a pretty solid gainer - maybe the best of the Ironman line depending on what other sets are made - and if there are anymore movies (and we all hope so). Though I do like this set, I am not near as high on it as a ton of other people. I really struggle to believe in the Superman Sets. For one, they are really tough to part out and make any money because all the figures are in about every other set. There really aren't a bunch of different versions of Zod or Superman. Plus, I think the popularity of Superman has really fallen off in the past couple of years with the last several movies. A lot of people liked the last movie, which is really what these sets were based on, but I still do not see the popularity that the other Super Heroes themes have. On top of that, a lot of the sets just don't look that great. However, this one is the exception. First, you have an awesome figure in Wonder Woman. She is exclusive and really there is a good chance she will stay that way. Then you have Lex, which is so-so, and the same superman as normal. The Power Armor is pretty nice, and a really cool and different way to display a minifigure. Because of the minifigures and the low price point, I am going to make sure I have a decent amount of this set. However, I am not going to go crazy on it. I am not fully convinced it will be near as big a winner as the other 20$ sets in this series. I bet most of you were thinking - where are these sets? Well for one, I really think they will be gone mid-year. More importantly, I have already stashed a good deal of these and really will not be targeting them - more just grabbing them if a good deal comes up. I assume most the rest of us are in the same boat and because these are really only going to be available from places at retail or above, I doubt most of us are going to be buying a lot of them. However, if you do not have any - go find them now. All three are huge winners and I don't want anyone here to miss out on three sets that may be the best gainers of the Super Heroes line. Thanks for the great article. I completely agree with the Extremis Seaport. I didn't pay much attention to it at first, but it has been in the top 5 sellers on Target at the only Ironman set in the top 100 on Amazon. I will target it as much as I can. The Daily Bugle is the biggest winner of them all. I don't have enough. Thanks for the article DNIIM! The Super Heroes (and Lord of the Rings) are the sets that brought my attention back to LEGO and are what got me into LEGO investing. Awesome sets! 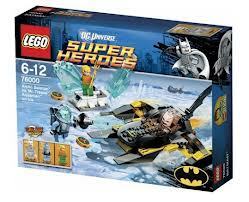 I get what you are saying about the Man of Steel sets, but 6862 is comic based and very different from those. This version of Superman is exclusive to the set so far, unless you want to settle for a keychain or magnet. I returned a two face chase I bought for $35. My biggest lego regret to date. Booo! great article....what are your thoughts on doc ock ambush? Excellent point - I did not notice that this superman is different until you said that. May keep a look out for more of these. They are starting to get scarce too. Dr. Ock is great. I didn't include it because you just can't find it anywhere, but its gonna be a big winner. The Dr. Ock figure AND ironfist being an exclusive realy helps - hope they stay that way. This Dr. Ock fig is better than the old as well. Iron Fist may be the big part of this that is a sleeper. When I parted several of these out early Iron Fist was the easiest seller. Great article DNIM, a new set (10665) is on the way for 2014 that includes venom. I think that the Nick Fury figure may be the one to watch as he will be featured again in Winter Soldier and again in Avengers 2 in 2015. If Aquaman stays exclusive the Arctic Batman set could be huge once the Justice League of America movie comes out, no one likes Aquaman but figure collectors will need him to complete the core group of JLA. For sure. This is the only classic Superman figure ever. When people think of Superman, they think of this version, not the Man of Steel ones. 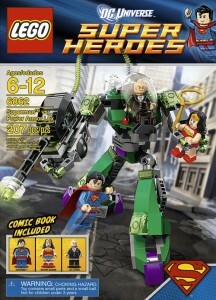 And for those who want a lego Justice League, you have to get this set for him and Wonder Woman. I think Aquaman is being significantly underestimated here as he has had a big resurgence in current comic books. His book has regularly been a top 10 book and now there is an unprecedented second Aquaman book coming out at the same time. Just today I saw an internet rumour that they want Josh Hollaway from Lost to play him in the Batman/Superman movie. And this does not reflect my personal opinion. I still think Aquaman is a tool, but the facts are what they are.